How great to live in Florida. You and your family enjoy your beautiful pool area. Now it is time to enclose the pool with a Premier ornamental aluminum fence for safety and decorative purposes. Ornamental aluminum fencing has become the most popular type of pool fence in America. This is due to its durability and elegant appearance. 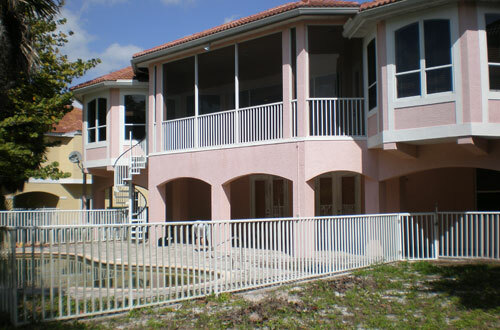 Premier will install that perfect fence with consideration of your home’s style and surroundings. Our aluminum fencing is perfect for any setting where low maintenance is preferred, and where privacy is not a priority. Now safety is no longer an issue – at last you can enjoy water views, lush landscaping, golf course views or any of the wonderful Florida vistas from the serenity of your pool area. With Premier Pool Enclosures fencing, you now have the best of all worlds.